The Marsh Run townhome neighborhood is located on the west side of Rockford just north of Hwy 55. Marsh Run was originally built by townhome builder Nova-Fleck starting in 2001 and winding down around 2006. The Marsh Run townhomes average 3 beds, 2 baths and around 1,450 sq feet although there are plenty of 4 bedroom, 3 bath options as well. Styles in Marsh Run include both two story and one story townhomes. Located only 15 minutes west of Plymouth, Marsh Run has been highly desired by those looking for a townhome without the huge price tag of cities like Plymouth & Maple Grove. You can expect to find a townhome for sale in Marsh Run starting in the upper $180’s to $200,000 plus. If you’re looking at townhome living you may already know about the association fee you will need to pay so make sure to figure that into your monthly budget. The association fee for Marsh Run is approximately $155.00 paid on a monthly basis and covers sanitation, snow/lawn care, outside maintenance, hazard insurance, building exterior & professional management. 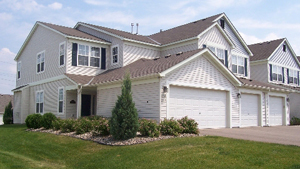 If you have a townhome to sell in Rockford’s Marsh Run, contact us here for a free, no obligation home evaluation. If you would like to set up a showing on a Marsh Run property, contact DMG & we will meet you there anytime that works for you. Townhomes have become more and more popular with home buyers over the years due to their many benefits. Townhome builders in Rockford have paid attention to this demand. Most of the people who are investing in this type of property have a very busy schedule.